Now, the actor is facing criminal charges for acting like a zombie, after allegedly shoving his bloody fingers down a victim’s throat during an assault at a home in Rome so she “could taste his blood,” according to the Rome Police criminal warrant. According to police, Rutledge cut his hands and chased down the victim, a 20-year-old woman, forcing his bloody fingers into her mouth. According to the police report, the young woman fought back as he attempted to choke her and used her fingers to try and gouge his eyes out. The report said he bit her fingers, causing a severe laceration on her hands. Police said she also had bruising on her body from the assault. Eliot Rutledge, 30, is charged with assaulting two women. He allegedly stuck his bloody fingers down the mouth of one woman, forcing her to "taste his blood." Rutledge has been charged with aggravated assault, disorderly conduct and simple battery in the incident, which occurred on Jan. 27. However, this incident isn’t the only one he is charged in, Floyd County criminal warrants show. Rutledge is also charged with attacking another woman in the same home in charges dating back to 2017. In that case, he allegedly refused to let the victim, a 28-year-old woman, leave the home on Lytle Street. Police said he blocked all exits at the home and then physically assaulted her by punching and elbowing her in an incident in August 2018. 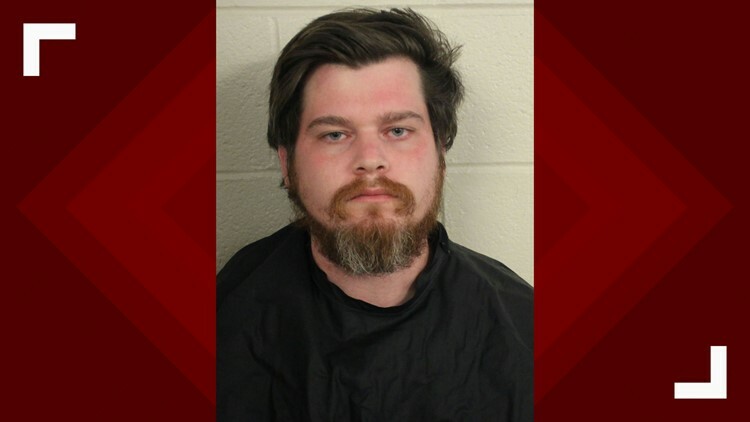 Rutledge is also accused of choking the same woman between June 2017 and October 2018, when he allegedly picked the woman up by her neck and slammed her down in the front yard of the home and allegedly choked her in front of the house. Charges related to alleged abuse of the second victim include false imprisonment, simple battery and aggravated assault. In addition to acting, Rutledge works at Old Havana Cigar in Rome, according to the warrant. He is held without bond at the Floyd County Jail.